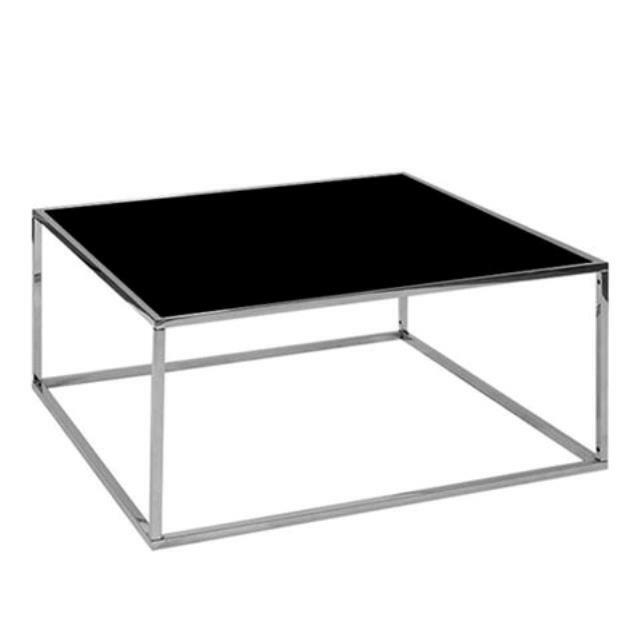 Coffee table with stainless steel frame and black top insert. Four tables will store in one road case. * Please call us with any questions about our carleton ss black frame table in Tulsa OK.